A dark comedy about the young women who had the “honour” of being Adolph Hitler’s food tasters. 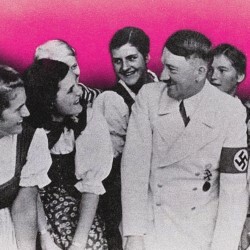 Based on true events, Hitler’s Tasters explores the way girls navigate sexuality, friendship, patriotism, and poison during the Third Reich. Using an anachronistic retelling of an historical footnote, Hitler’s Tasters considers what girls discuss as they wait to see if they will survive another meal. 'One of the best evenings I’ve spent in the theater in a long time. It was interesting, entertaining, upsetting, and it made you think' (Susan Stroman, legendary director and choreographer).